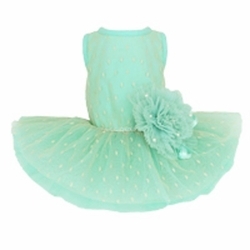 Pretty as a picture this Peach Flower Dress by Puppy Angel makes any event special. The cotton sleeveless body has been overlaid with spotty mesh which also makes up one of the three layers of the skirt. The waist has a gorgeous corsage attached which can be removed for cleaning. 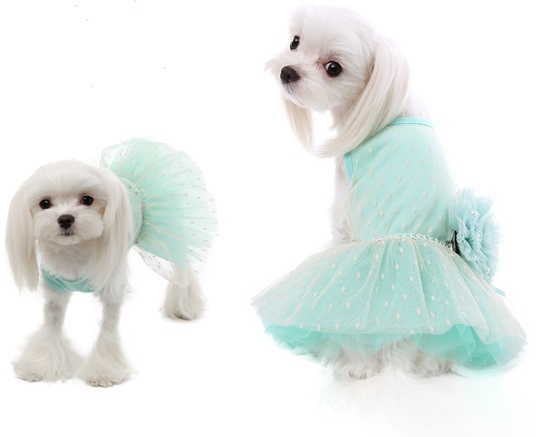 Your precious pup will be the belle of the ball! Choice of mint or pink.